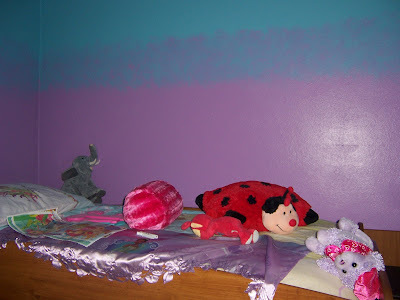 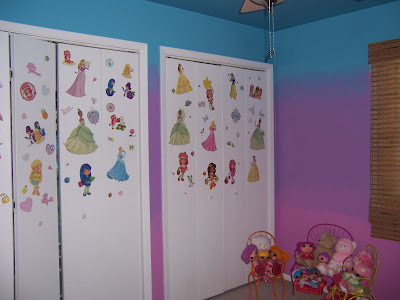 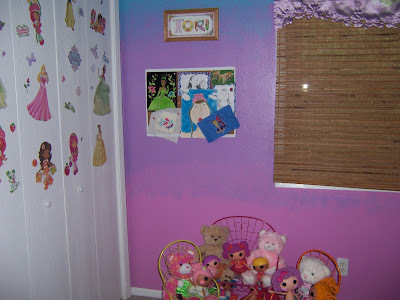 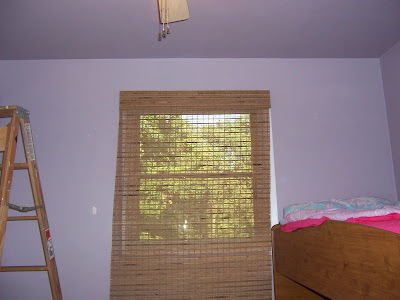 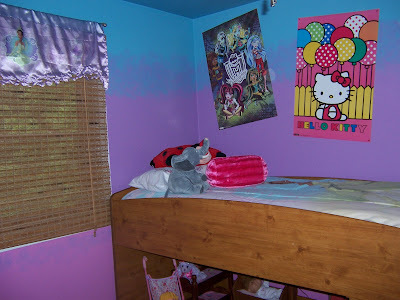 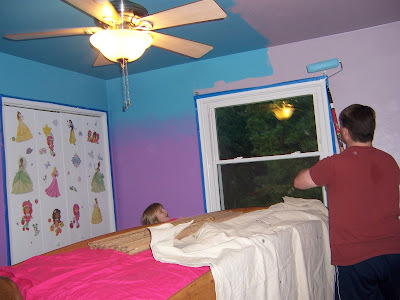 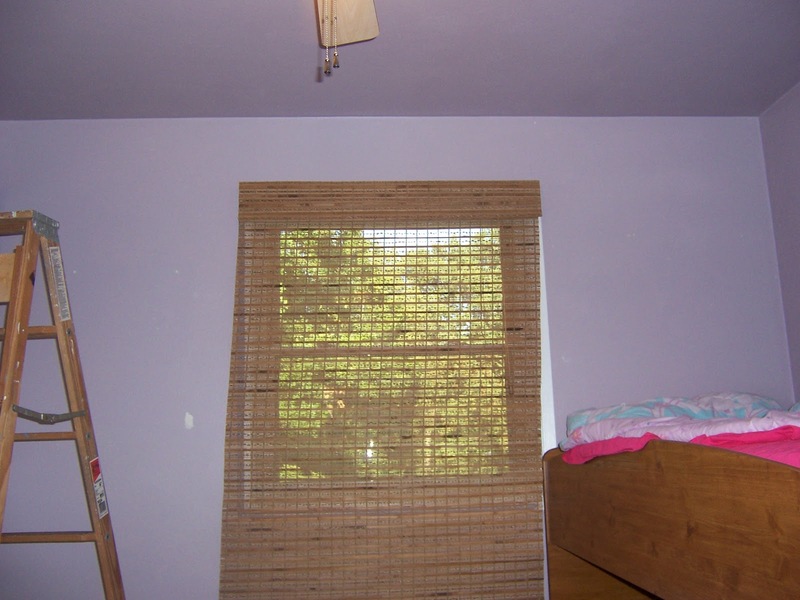 Unlike her brother, Tori was gung-ho for her room to be repainted. 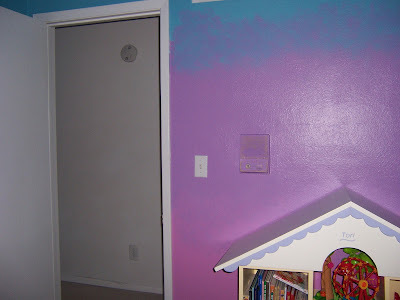 She wanted pink and purple. I threw some teal in there to make things a little less over the top. So, a teal ceiling dropped onto the wall, blended into purple, blended into pink. 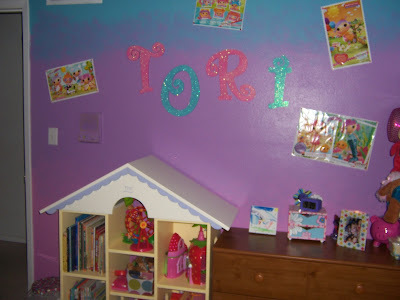 It’s bright, it’s bold, it’s so girlie, so Tori! And, it works better with all of Tori’s choices.